I am so excited to be a part of the Rock 'n, Blog Team for 2017! 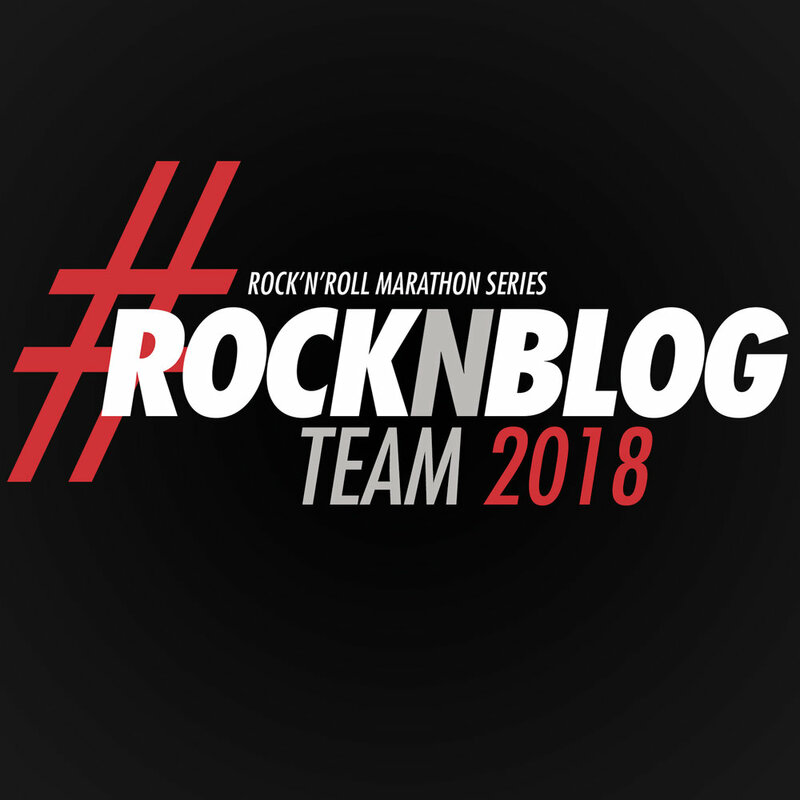 Rock 'n' Blog is a community of like-minded folks who love to run and have fun and earn some awesome bling along the way. This is my first year being an ambassador for the Rock 'n' Roll Marathon series and I'm really looking forward to running as many races as I can with them! In 2013 I ran my first half marathon, the Rock 'n' Roll Las Vegas and I've been hooked on running ever since. So, yea the Rock 'n' Roll has a special place in my heart. They put on a great event! If you're looking to run your first half marathon, I definitely think it's a great race for beginners. The energy from the crowds, your fellow runners, and the music really keep you pumped up throughout the race. The series also offers the full marathon distance and depending on the city, they also offer relays, 10Ks, 5Ks, and kid races. There is definitely something for everyone! Who's ready to join me? How about a discount code to help convince you? Use code RNB15 to get $15 off your half or full marathon registration! Posted in Fitness, Running, Race Recaps and tagged with rock n roll las vegas, rock n roll marathon, las vegas rock n roll half marathon, running, runner, races, half marathon training, half marathon runner, 5k, las vegas runner, runner mother, runner mom. March 14, 2017 by Jessie Emeric. On May 21, 2016 I ran the Trails of Fury 10K. My daughter also ran the kids 2K race that day. Trails of Fury is a trail race organized by Desert Dash and they always pull off a great race. 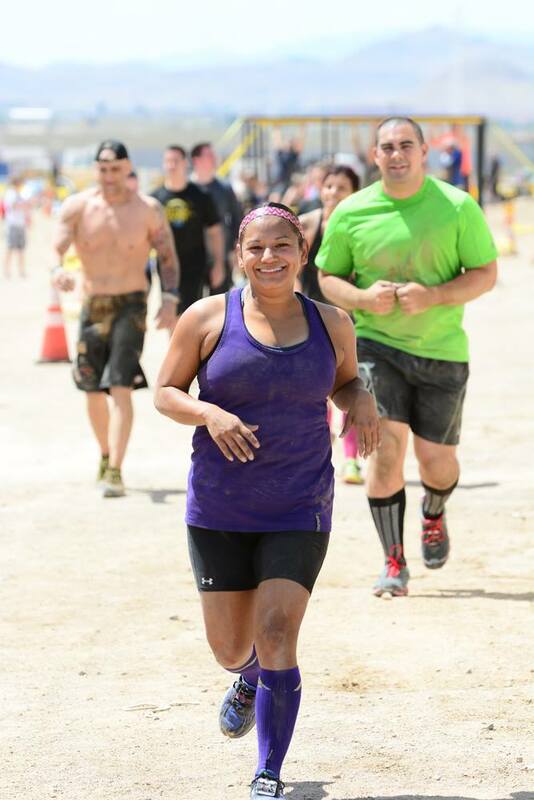 I'd volunteered a few times on other Desert Dash races, so I had race credits for this race, bonus! I hadn't really trained much for this race. After the L.A. Marathon, my running has really been sporadic. I decided to sign up for this race to help me get my running mojo back. During the entire run I felt sluggish and slow. I took way too many walking breaks and the gradual uphill really got me! The downhill, as usual, was fun and I was grateful that the downhill was at the middle and then again at the end. I started the race wearing my jacket but after the first mile I got hot and took it off. Since the 10K consisted of 2 loops, I passed the start line and saw my husband and daughter. I handed them my jacket and just kept on going. After the 1st loop, I really was trying to give it my all, but sadly, my all was not much to give. My lack of running and especially my lack of trail running, was evident. I was glad to be done after the race, but I actually did enjoy the run. It made me remember how much I did enjoy trail running and I really hope to get back to it. Now, about 30-45 minutes after my race it was time for the 2K kids race. Elysse was ready to run and was super excited to get started. Desert Dash just recently introduced the kids races to their lineup, so there were only a total of 3 kids for this race. I sure hope they keep it for future races and that more kids show up for them. Running is such a great sport and it can really help teach kids the importance of training, endurance, and rewards for hard work. Elysse started the race strong and she finished strong. She led the whole time and came in first place. That really made her feel so proud of herself and in turn, we were also so proud of her. She gave it her all and it paid off! I can't wait for her to run another race again and that she can find a true love for running! Posted in Running, Race Recaps, Fitness and tagged with runner mother, runner, runners, nevada runners, desert dash, trail race, trail run, trails of fury, las vegas runner, kid runner, kids running race, 2k, 10k. June 15, 2016 by Jessie Emeric.